Nappa Leather. Nappa Leather Care. Create Your Own Design. Printed in our Studio. From $28. Ready in 1 - 2 day(s). 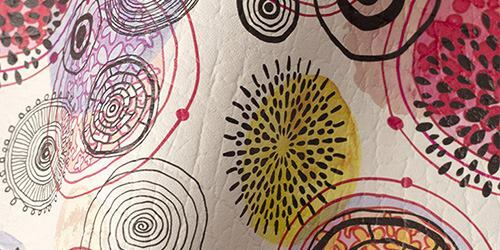 Printing on real, soft nappa leather is a great way to show off your designs and artworks. Nappa leather is a full grain goat leather, so it is the best grade of leather that is available. 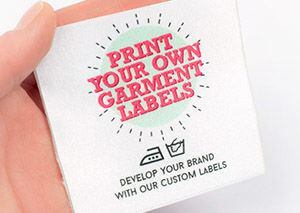 We print directly onto it, deep into the fibers using the most up to date printing methods. This means that the ink is as strong as the leather, so with appropriate nappa leather care, it will last for years to come. Goat full grain nappa leather is a real leather with a thickness of 0.027" - 0.035". It is the best grain of leather that is available and comes in a choice of either textured, which has a stamped 'Bison' grain, or smooth which has a flat face. 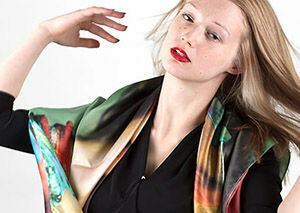 Our nappa leathers are tanned in Europe, using the best quality materials and processes, and is printed here in our studio, with your artwork and designs, using the most up-to-date printing technology. 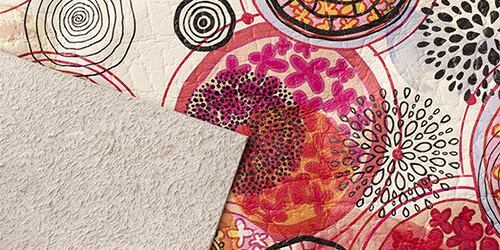 There is a choice of surface textures when printing on nappa leather. 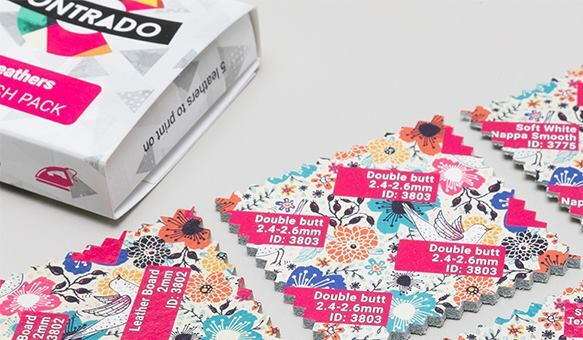 A smooth option which has a flat face, and a textured option which is debossed. This means that the 'Bison' grain has been stamped into the leather. 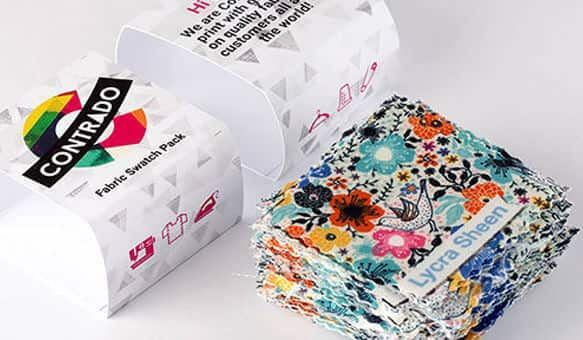 Our latest printing technology prints directly onto both flat and textured surface, and penetrates deep into the fibers so that your design will be completely undisturbed by any surface texture. 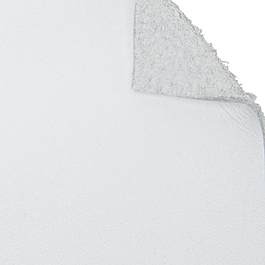 Both of our nappa leathers have a white base tone, so your colors will appear strong and rich. You can print fine lines up to 2pt with exceptional detail, and these will display clearly and beautifully. Our up-to-date printing technology means that you can print any color, whether it is solid color, images or patterns. Digital printing on nappa leather produces beautiful results. Custom printed nappa leather has so many uses, as it is such a versatile and hard wearing material. Popular uses are bags, belts, jackets and skirts. This leather is not suitable for children's toys or pet products though, due to the risk of ink being forcefully removed and ingested. Will my nappa leather or my print wear out? 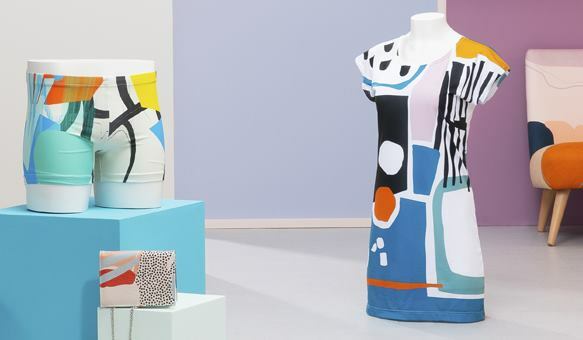 Provided you make sure that you use appropriate leather nappa care, then your prints will last for years to come. 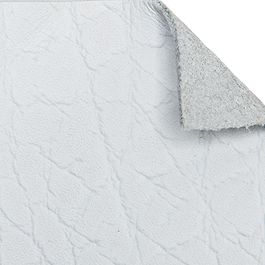 Nappa leather is rub proof, and the ink is as strong as the leather itself. Will my leather go hard over time? No, it won't. Nappa leather keeps its original handle throughout its lifetime. This means that it is not going to stiffen over time. Your digital print on nappa leather can be folded, bent or even stretched and has great anti-wrinkle and low crease properties. The textured nappa leather doesn't show creases due to the rick texture, and you will only be able to see very light wrinkling on the smooth nappa, and only when you fold smooth face to smooth face. Why are different leathers offered in different sizes? This is due to the where the leather comes from. Cows are larger animals than goats are, and thus the leather that we would get from those animals will be in a larger single piece. The maximum print size of our digital printed nappa leathers is 51.18" x 25.59"
We print at 200dpi, which is a good combination of quality and file weight. Ideally your image should be scaled to 100% at 200dpi; this means that no resizing of your file occurs, preventing any interpolation. The maximum dimensions of the leather will depend on the type of leather. You will find more information on each leather product page. If you'd like to order more, you can increase the quantity, with a built in automatic volume discount too. The maximum print width of each leather can be found on the individual leather pages or in our design interface. Do you print on leather a customer supplies? Unfortunately not; we like to test meticulously so that we know what gets best results on our materials, and our facilities cater perfectly to them. As we use the newest printing technology for printing on leather, there is no shrinkage with the the material during our processing at all. Can I print on both sides of the leather? Unfortunately, we do not offer printing on both sides of the leather. Can I order swing tags in another leather? 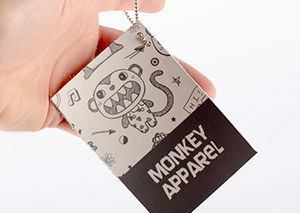 Will you cut them like you do with the normal leather swing tags? At the moment no, our swing tags are all printed on the same nappa leather. We may introduce more in the future, but for now this is the best choice. The swing tags are all cut the same way. You can order the leather of your choice and make the swing tags yourself, but we do not cut different leather into swing tag format. Cut on the line. We will cut neatly on the edge of your image. Please be aware, when we cut along the line, we have to cut against the grain of the material. This is the standard procedure for fabric cutting. All of our fabrics are cut manually by hand, with the utmost care and attention. If your fabric has a slightly uneven look on the edges, or a touch of fraying, this does not indicate a flaw in the textile. 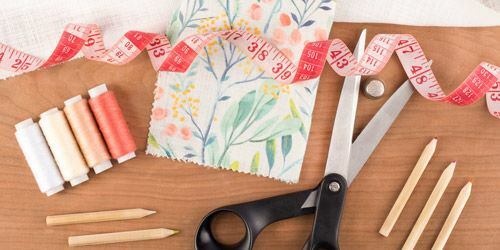 It is not always possible to achieve a perfect straight cut with certain fabrics, so please do bear this in mind when it comes to your design. If you have any queries or would like to know about our cutting methods in more detail, please get in touch and we will be more than happy to discuss them with you. Not suitable for children’s toys or pet products, due to risk of ink being forcefully removed and ingested. For further information about our leather or any of our fabrics see our FAQs. We handmake your leather item on site, which takes on average 2-3 days. Please check individual production times which are displayed next to the item price on the product page, as this varies from product to product. In rare cases when we need to re-print an item, this may take an additional 1-2 days. 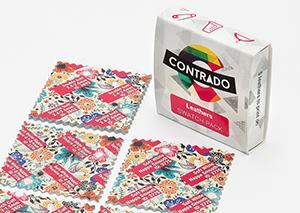 At Contrado, every product is handmade on site to ensure the highest quality. We provide a dedicated production service as well as a range of fast delivery options. For the past 14 years, we have printed and hand-made countless personalized products for a wide range of customers all over the world and many of them have become loyal customers who love not only our products but also the care, knowledge and dedication from our staff. Soft White Nappa Texture 0.027" - 0.035"
Soft nappa, pliable. Goat full grain leather. 0.027" - 0.035" thick. Textured face, white base. Soft White Nappa Smooth 0.027" - 0.035"
Soft pliable nappa. Goat full grain leather. 0.027" - 0.035" thick. Flat, smooth face, white base.